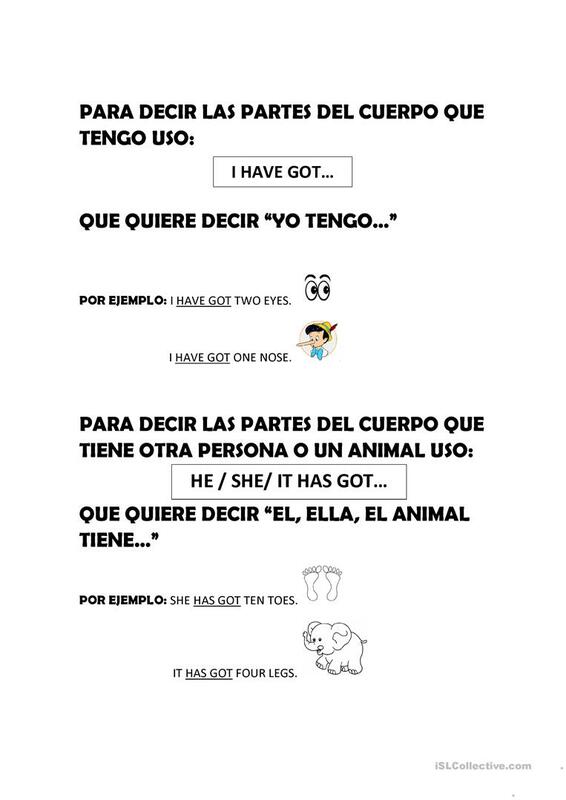 FOR CHILDREN WITH A LOW LEVEL OF ENGLISH WHO ARE LEARNING PARTS OF THE BODY AND NEED SENTENCE STRUCTURE. This downloadable teaching material is meant for elementary school students at Beginner (pre-A1) and Elementary (A1) level. It is valuable for practising HAVE GOT or HAS GOT in English, and is a valuable material for working on your pupils' Reading skills. It centers around the theme of Body. estefaniagagliano is from/lives in Argentina and has been a member of iSLCollective since 2013-08-09 14:23:35. estefaniagagliano last logged in on 2019-01-21 14:52:29, and has shared 3 resources on iSLCollective so far.